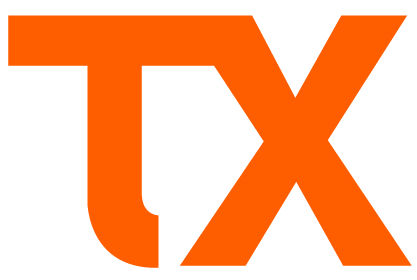 With TX, clients can sign up, free of charge, on the Web site of TX and automatically be registered on it, in order to benefit of extensive information upon the existing programs. With TX, clients benefit of drafting and management procedure upon the necessary documentation, for starting the process of recruitment. Nevertheless, any modification that interferes in the documents made by TX, once the relation between the Client and Candidate began, would be free of charge. With TX, clients benefit of consultancy services upon any subject related to the programs of European fellowship (grants) or any other geographical scope. TX will write and operate (where applicable), exclusively, with the documentation that it is indispensable to the candidate, in order to realize his internship in the Client’s Company. Under no circumstances, TX would be responsible in case that the client needs additional documents from its provenance country, like for example, documents related to the Employment Services or Local Authorities, as, this enters in the candidate´s attributions and it is in his task, to manage and acknowledge the rest of the formalities. Prices are specified on TX web site www.trainingexperience.org and communicated in the moment that the client fills up the practice offer´s form. Discounts have a confidential character. All prices exclude VAT. The VAT that corresponds to the services of TX is of 21%. Thus, for the clients who dispose of the intra-company registration of the European Union, the price of services would be also exempt of IVA. TX reserves the right to modify its prices on the strength of its terms. None of the changes are retroactive. The payment of the remaining 70%, after TX states the service, as being finished. The whole amount must be integrally paid. The payment will be effectuated via gateway payment provided by Banco de Sabadell, in this way, on www.trainingexperience.org. When you register your credit card after the first payment on www.trainingexperience.org, you accept that once we finish the recruitment process, we charge directly the remaining 70% of the price from your credit card. Clients should create an account on www.trainingexperience.org, in order that they could benefit of this services. Contrariwise, TX reserves the right to decline its services to the clients in this matter. The services procedure would not start if the client did not carried out his 30% payment from the price. Once the Client published an internship offer and the service is initiated (see clause above), from www.trainingexperience.org he will receive ONE Candidate that matches the internship offer. TX offers the possibility of having an interview in order to meet the Candidate. Moreover, if the Client decides, he could propose independently of TX services, a technical test to the Candidate. (ii) Contrariwise, decline the Candidate, in case of objective reasons. If (ii), the Client has the possibility of receiving ONE more Candidate and the procedure starts again. Even though TX provides a new Candidate (only ONE) each time the Client requests it (only five times previous to the Finalization clause), TX does not give the Client the possibility of choosing between Candidates and does not guarantee that the declined Candidate would be available for the requested position. 1) Trainee try to negotiate with the company any of the conditions in any moment of the process. 2) Trainee delay the starting date of the internship. 3) Trainee doesn't answer our emails, phone calls, or other methods (Skype, WhatsApp's,...) for more than 5 working days. 4) Trainee lies or hides information during any moment of the procedure. In all this situation TX will be not responsible for the expenses that the trainees were incurred. Moreover, TX will be able to ask for compensation to the trainee for this cancellation. The recruitment ending service shall be produced only when TX has managed to accomplish all the necessary documents that the recruitment procedure requires, in order that the client and the candidate could start their activity. Thus, finalization occurs only when there are true documents, acknowledged and signed by all stakeholders, which certify its validity. On the one hand, if the Client rejected all the candidates, since the offer from www.trainingexperience.org, the 30% of the price, paid in advance, would be refunded. On the other hand, if the Client decides to end up an internship offer, but previously, accepted one or more candidates, wherewith, the finalization did not occur, TX, would not refund de 30% of the payment to its Client, on the strength of the vacancy places occupied by the Candidate. As for the rest of 70% of the price, they will not be required. Thirdly, in case that, the Client has accepted one or more candidates and the recruitment finalization has occurred, TX, would not refund 30% reserved for the vacant places and in addition, the 70% left, would be requested. Nevertheless, if TX declares its insolvency, it would stop offering its services and goes into liquidation. Therefore, the relation starts when the Client has chosen one of the Candidates from the platform whom requires all the conditions imposed by the specific position. The confirmation shall be seen directly on the site www.trainingexperience.org, or in an exceptional case, sent by e-mail. (i) In case that the Client NEGLECTS the Terms and Conditions of the platform and if the problem that occurred cannot be solved in an interval of 10 days from the notification, with a written document from TX. (ii) In case that the Client becomes insolvent, stops its commercial activity or goes into liquidation. (iii) In case that the Client, breaks the relation with TX SERVICES, and directly contacts the Candidates or the Universities, without utilising the platform of TX www.trainingexperience.org, for the usage of the presented offers. (iv) In case that the Client does not respond diligently to the petitions of TX. When a Candidate it is selected by TX and The Client acknowledges the matching but he does not give a feedback to the Candidate within 10 days. When the Client does not signs and validates, within 5 days, the documents that were prepared by TX. (v) In case that the Client declines a number of Candidates (5) without justification and for a prolonged period. A cookie is a text archive which is stored in a computer or mobile device through a web server. Only this server has the capacity to recover or read the content of the cookie and permit the website to record navigation preferences to enable the user to navigate in an efficient way. The cookies make the interaction between the user and the website faster and easier. Those which are sent to the user terminal equipment of a user from a computer or domain, managed by the the publisher and from which the service requested by the user is provided. Those which are sent to the user terminal equipment of a user from a computer or domain, not managed by the the publisher nor by any other entity that uses the data obtained through Cookies. If the Cookies are installed from a computer or domain managed by the publisher, but the information collected is to be managed by a third party, these can not be considered as own Cookies. These are a type of cookie designed to collect and store data while the user accesses a web page. These are usually used to store information with only the interest in preserving the provision of the requested service from the user in only one occasion (for example a list of acquired products). These are a type of cookie in which they store data in the terminal and can be accessed and processed for a defined period of time by the person responsible for the cookie, which can last from a few minutes to various years. Are those which allow the user to navigate through a web page, platform or application and the utilisation of different options or services within which exist, for example, to control traffic and the communication of data, to identify the session, to access restricted access areas, to remember elements that are integrated into an order, to perform the sales process of an order, to perform the inscription or participation request in an event, to use security elements during navigation, to store content for the diffusion of videos or sounds or to share content through social networks. Those which allow the user to access the service with some general predefined characteristics in function with a series of criteria in the user’s terminal, for example this could be a language, the type of navigator through which the user accesses the service, the regional configuration from where the user accesses the service etc. Analysis cookies allow the owners of the website to trace and analyse the behaviour of users on the site. The information collected through this type of cookie is used in the measurement of website, platform or application activity and for the development of user navigation profiles of those sites, applications and platforms, with the purpose of introducing improvements in function with the analysis of data that the service users make. This web page uses Google Analytics. All Internet browsers allow you to limit the behavior of a cookie or disable cookies within the settings or browser options. The steps to do this are different for each browser, you can find instructions in the help menu of your browser. Through your browser, you can also view the cookies that are on your computer, and delete them as you see fit. Cookies are text files, you can open them and read the content. The data inside them is almost always encrypted with a numeric key corresponding to a session on the Internet so it often does not make sense beyond the web page that wrote it. The legal notice regulates the use of the website (referred to as THE WEB), which is owned by TRAINING EXPERIENCE SL (THE OWNER OF THE WEB). The navigation of the website of THE OWNER OF THE WEB attributes the same user condition and implies the full acceptance, without exceptions, of each and every one of the provisions included in this Legal Notice, which may undergo modifications. he user agrees to use the website correctly in accordance with the laws, good faith, public order, uses of traffic and this Legal Notice. The user will respond to THE OWNER OF THE WEB or to third parties, for any damages that could be caused as a result of the breach of this obligation. Its corporate name is TRAINING EXPERIENCE S.L. Its registered office is: AVDA. PRIMADO REIG Nº 111- 1A CP 46020, VALENCIA. Registered in the Mercantile Registry of VALENCIA, TOMO 10135, BOOK 7417, FOLIO 31, SECTION 8, SHEET V-171192 and INSCRIPTION 1ª. All of the notifications and communication between users and THE OWNER OF THE WEB will be considered effective, for all purposes, when made through postal mail or any other methods detailed above. The website and its services are free and have open access; however, THE OWNER OF THE WEB determines the use of some of the services offered on its website to the previous completion of the corresponding form. The user guarantees the authenticity of all up to date data that he communicates to THE OWNER OF THE WEB and will be solely responsible for the false or inaccurate statements that he makes. Disseminate criminal, violent, pornographic, racist, xenophobic, offensive, terrorist apology or, in general, contrary to law or public order. Introduce computer viruses or perform actions that may alter, spoil, interrupt or generate errors or damages in the electronic documents, data or physical and logical systems of THE OWNER OF THE WEB or third parties; As well as impede the access of other users to the website and its services by mass consumption of the computer resources through which THE OWNER OF THE WEB provides its services. Attempt to access the e-mail accounts of other users or to restricted areas of the computer systems of THE WEB OWNER or of third parties and, if appropriate, extract information. Violate the intellectual or industrial property rights, as well as the confidentiality of the information of THE OWNER OF THE WEB or of third parties. To replace the identity of another user, the public administrations or a third party. Reproduce, copy, distribute, make available to or any other form of public communication, transform or modify the contents, unless the authorization of the holder of the corresponding rights is legally permitted. Collect data for advertising purposes and send advertising of any kind and communications for sale or other commercial purposes without their prior request or consent. All contents of the website, such as texts, photographs, graphics, images, icons, technology, software, as well as graphic design and source codes, constitute a work owned by THE OWNER OF THE WEB, without being able to be understood as being assigned to any user of the exploitation rights over them beyond what is strictly necessary for the correct use of the website. In short, users accessing this website can view the content and, if necessary, make authorized private copies as long as the reproduced elements are not later assigned to third parties, nor are they installed on servers connected to networks, nor are they subject to no exploitation. Also, all trademarks, trade names or distinctive signs of any kind that appear on the website are the property of THE OWNER OF THE WEB, it shouldn’t be understood that that the use or access to it assigns the user any right over them. The distribution, modification, cession or public communication of the content and any other act that has not been expressly authorized by the holder of the rights of exploitation are prohibited. The establishment of a hyperlink does not imply in any case the existence of relations between THE OWNER OF THE WEB and the owner of the website in which it is established, nor the acceptance and approval by THE OWNER OF THE WEB of its contents or services. Those who intend to establish a hyperlink previously must request authorization in writing from THE OWNER OF THE WEB. In any case, the hyperlink will only allow access to the home page of the website, as well as to refrain from making false, inaccurate or incorrect statements or indications about THE OWNER OF THE WEB, or include illicit content, contrary to good customs and public order. The content of the website is of a general nature and has a purely informative purpose, without the full guarantee of access to all contents, its completeness, correctness, validity or topicality, or its suitability or utility for a specific purpose. The impossibility of accessing the website or the lack of veracity, accuracy, completeness and / or topicality of the contents, as well as the existence of vices and defects of all kinds of content transmitted, disseminated, stored, made available, which have been accessed through the website or services offered. Failure to comply with laws, good faith, public order, uses of traffic and this legal notice as a result of incorrect use of the website. In particular, and by way of example, THE OWNER OF THE WEB is not responsible for the actions of third parties that infringe intellectual and industrial property rights, business secrets, rights to honor, personal and family privacy and own image, as well as the rules on unfair competition and illicit advertising. Likewise, THE OWNER OF THE WEB declines any responsibility regarding the information that is outside this website and is not managed directly by our webmaster. The function of the links that appear on this web are exclusively the ones to inform the user on the existence of other sources susceptible to extend the contents offered by this website. THE OWNER OF THE WEB does not guarantee nor is responsible for the operation or accessibility of the linked sites; nor do they suggest, invite or recommend a visit to them, nor are they responsible for the result obtained. THE OWNER OF THE WEB is not responsible for the establishment of hyperlinks by third parties. In the event that any user or third party considers that there are facts or circumstances that reveal the unlawful nature of the use of any content and / or the performance of any activity on the web pages included or accessible through the website, Send a notification to THE OWNER OF THE WEB identifying properly, specifying the alleged infringements and expressly declaring and under his responsibility that the information provided in the notification is accurate. For any contentious issue that concerns the web site of THE OWNER OF THE WEB, the Spanish legislation will apply.